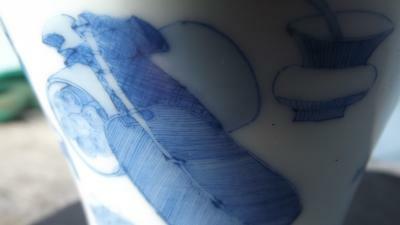 I have a very well made, translucent porcelain vase,that has been hand painted very intricately with tiny brush strokes. 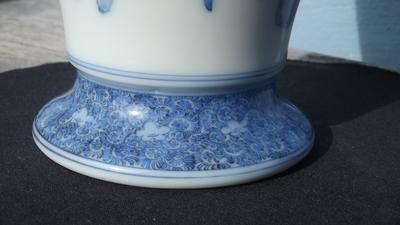 The foot is flat, with a deep inset base, upon which is carefully painted a ten character mark...of which I have no clue as to its identification. 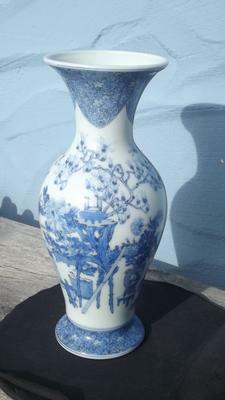 If you could help shed some light on when & by whom this vase was made,I would be most grateful. 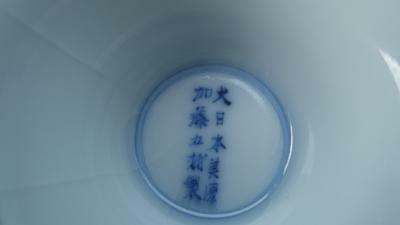 The pictures are too small to see details clearly, but the mark says it was made in Japan.